If your loved one has received a diagnosis of Alzheimer’s or dementia-related illness, we’re able to provide physical care, a sense of safety and trust, and days filled with meaningful experiences. Our specially trained staff will meet the individual interests of each resident, offering activities and programs created specifically with your loved one’s needs in mind. 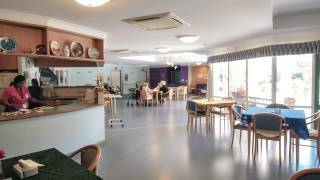 The special design of this secure environment allows the residents freedom within the surroundings while adding an extra measure of staff supervision.